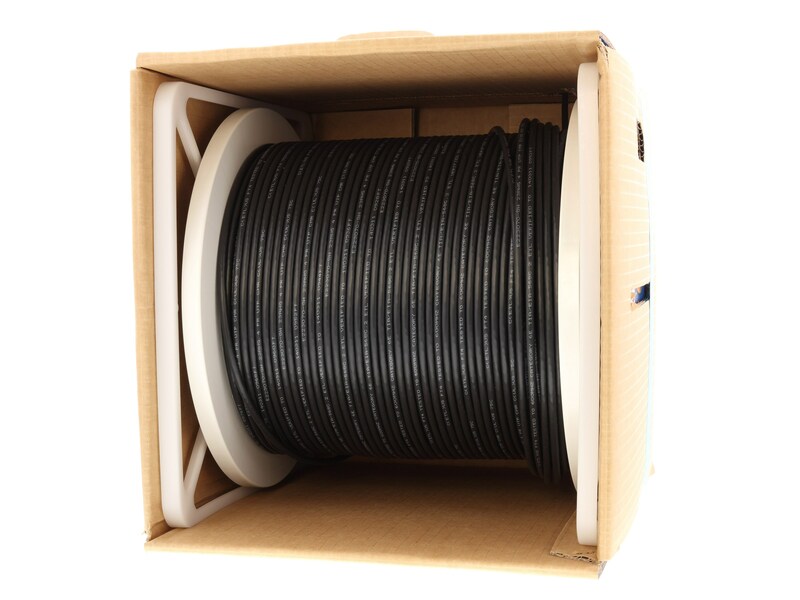 1000FT Solid CAT6e Network Cable Reel in a Box - Black, Riser (CMR) PVC is the ideal solution for your voice, data, video and security communications medium. Wiring your home, home office, office building or even a college campus has never been easier with Solid CAT6e cable. 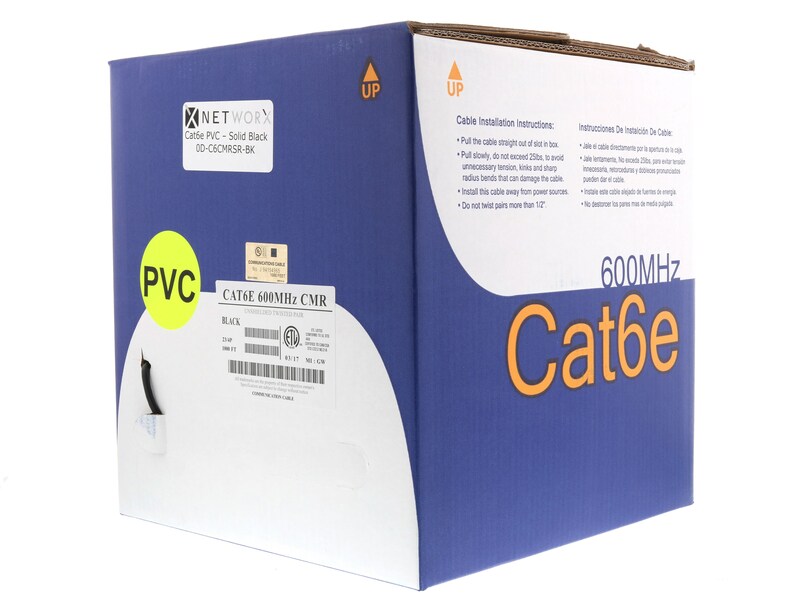 All of our Solid CAT6e cable has a PVC rated jacket and comes in multiple colors for easy identification and simplistic color coding. 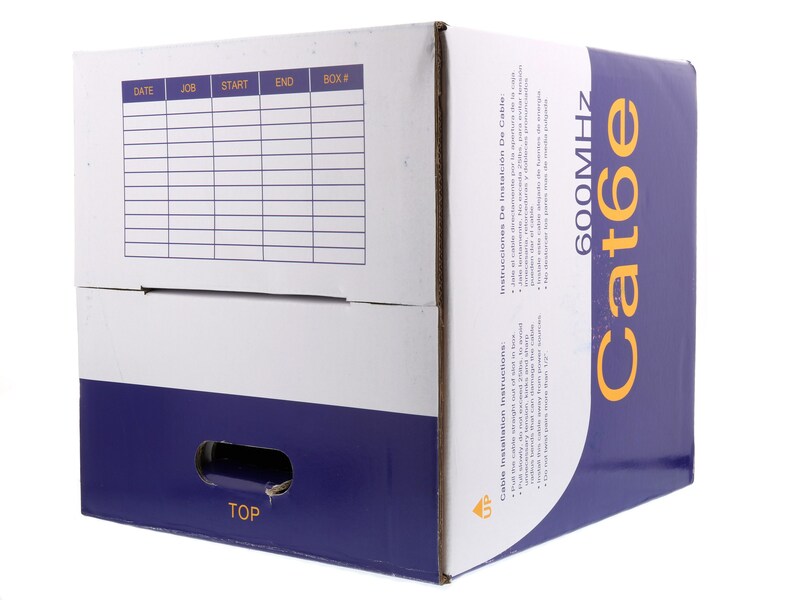 All Solid CAT6e cable is UL/CSA listed and is tested at 600 MHz, well above the 550 MHz standard of CAT6e Cable.